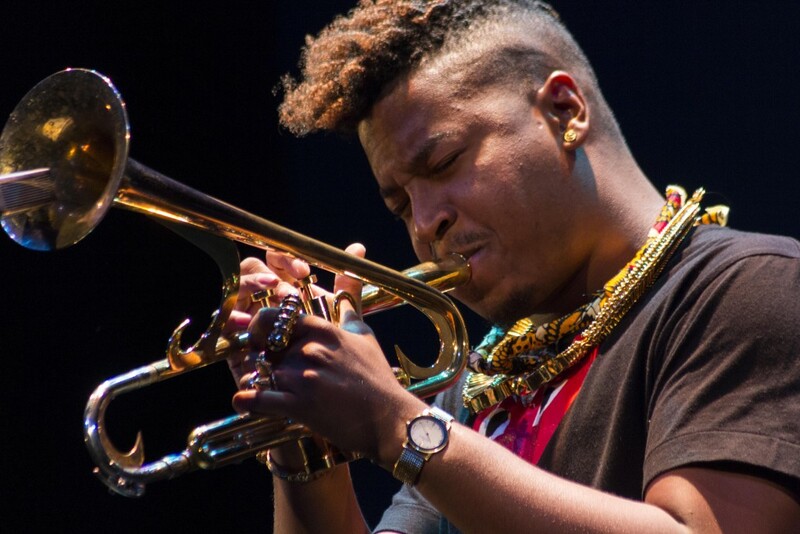 Christian Scott is a trumpet player from New Orleans who has taken his experiences and influences in life to create his unique style of music. He calls his music “Stretch Music” which is also the title of his 2015 album. It is essentially “stretching” the rhythms, melody, and harmonies of jazz and absorbing the essence of other music genres and culture such as rock or hip-hop. 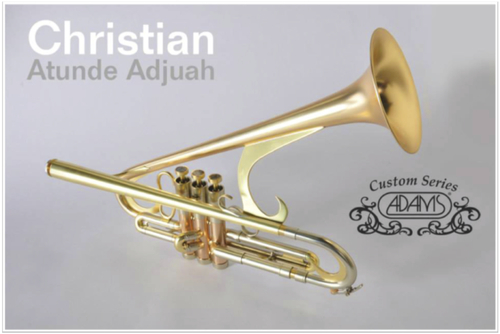 Christian has a very hip fashion sense which also translates to his own trumpets he has designed. He has an array of horns which produce their own distinctive tones. 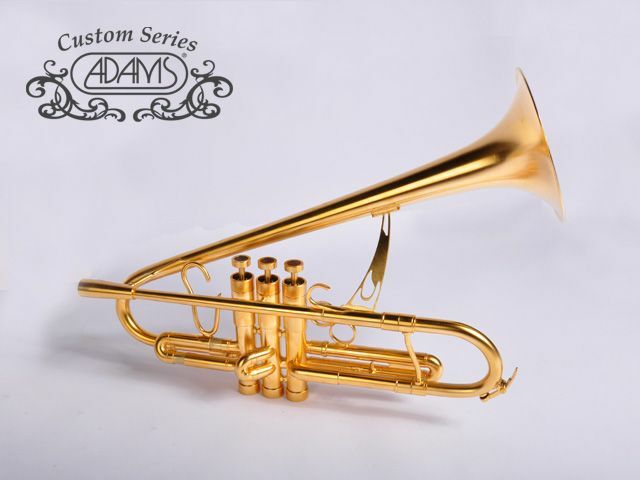 These two designs are essentially trumpets with an angled bell, kind like Dizzy Gillespie’s trumpet. 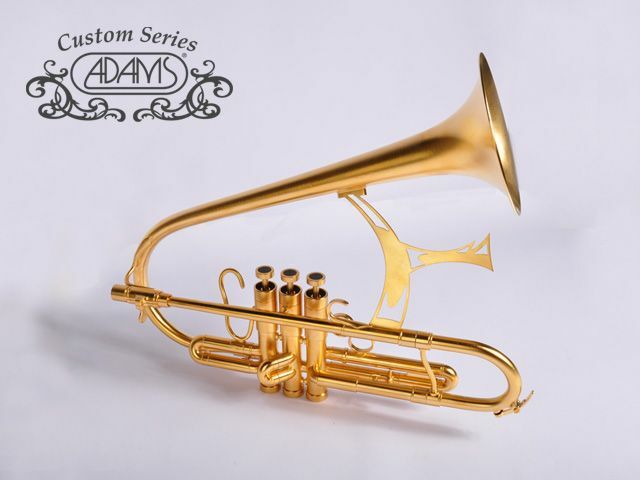 This is his “Isadora” trumpet named after his wife which has it’s own integrated mouthpiece mouthpiece. 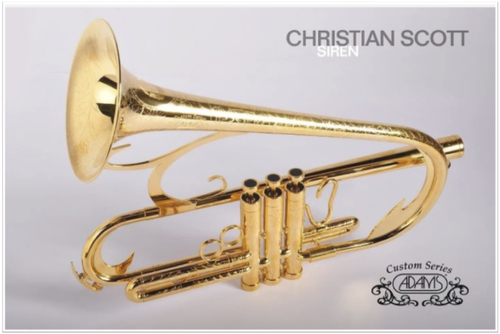 This trumpet is the “Siren” which blends the dynamics of a trumpet, flugelhorn, and cornet. It also has an integrated mouthpiece. This is the “Sirenette” which is a more compact version of the Siren. 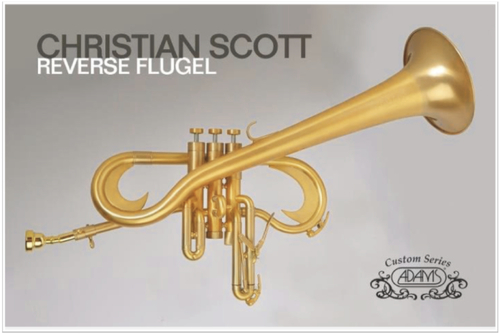 One of Christian’s most unique horns in terms of design and sound is the Reverse Flugel. It is an inverted flugelhorn with shepherd’s crooks which creates a darker sound while still having a well developed higher register. I saw Christian Scott play in August, 2017 at Blue Note. One of the best concerts I’ve seen. 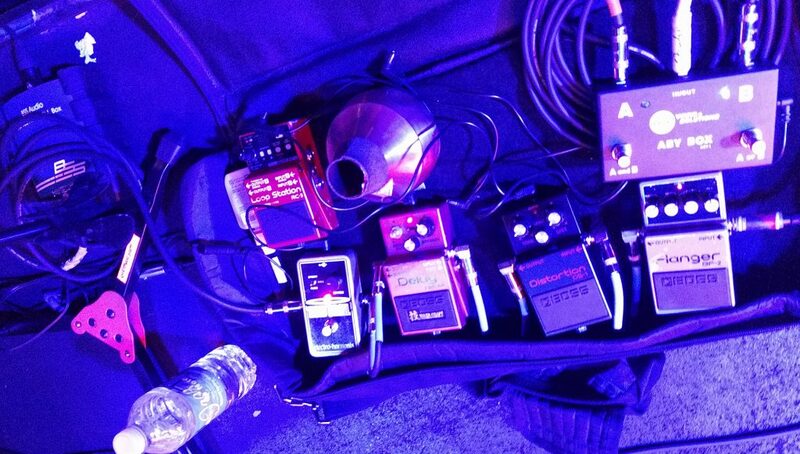 Surprisingly, he has a pedalboard which he was using to add various effects to his trumpet sound. In this video, he appears to be using a Monette mouthpiece, however it could be different. He also uses other unidentified mouthpieces. 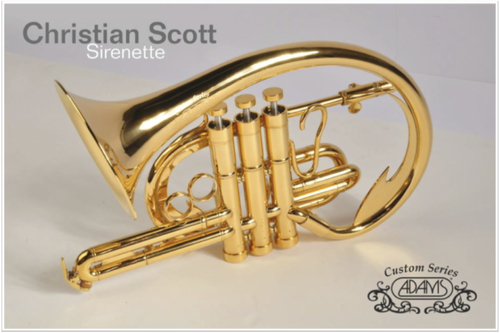 I’ll leave you with these two videos, one of Christian Scott on the design of his trumpets and the other is an interview. That’s not the whole truth: There is a mouthpiece, but it’s not interchangeable. The mouthpiece is merged into the leadpipe seamlessly, supposedly made from one piece. Hola, mi nombre es Jairo, soy un trompetista de Tenerife, me gustaría saber si el modelo Sirenete se encuentra en el mercado y que precio tiene, o algún otro modelo de Scott. Saludos y muchas gracias. Jairo. No estoy seguro de dónde puede comprarlo. Really I am impressed. Nice post. The mouthpiece is a best for trumpet. Recommend the mouthpiece here .